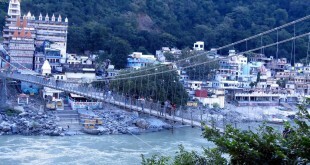 Rishikesh is located in the North Indian State of Uttarakhand. It is a major tourist destination widely known for its Sacred Temples, Ghats on the bank of River Ganges, Yoga and meditation Ashrams. There are some beautiful Tourist Attractions in Rishikesh which you can visit in your free time. Though there may be 3-4 routes from Delhi to Rishikesh but we suggest you to follow the best route from Delhi to Rishikesh. 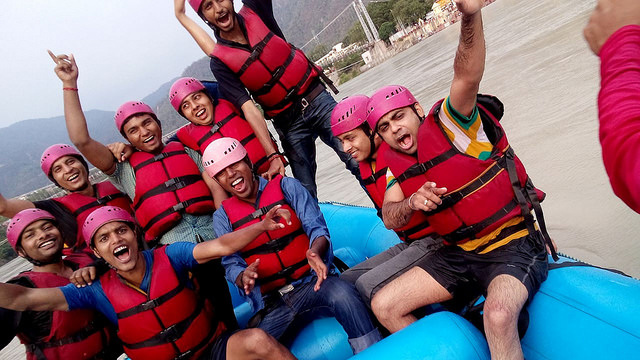 Many youngsters come to Rishikesh only for Adventure Sports Activities like Rafting, Cliff Jumping, Camping, Rock Climbing, Bungy Jumping, Giant Swing and a lot more. 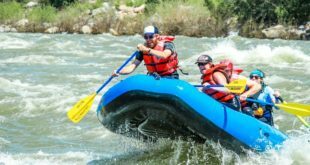 As a matter of fact, Adventure Sports in Rishikesh attracts a huge number of Tourists every year to the holy city of Rishikesh. In this Article, we will list 5 Luxurious & Best Ashrams in Rishikesh for Yoga and Meditation(With & Without Accomodation). Some of these Ashrams also offers Yoga Teacher Training for different level of Courses. PIYF (Patanjali International Yoga Foundation) is located in Laxman Jhula, Rishikesh. It is one of the most popular Ashrams in Rishikesh. The trust factor of co-founder Baba Ramdev is also associated with this ashram. PIYF focuses on physical, mental as well as spiritual health of all its students. It gives us knowledge about a wide range of activities. The purpose of the activities conducted here is to spread knowledge on Ancient Yoga, Ayurveda, Vedic Wisdom and Holistic Living. 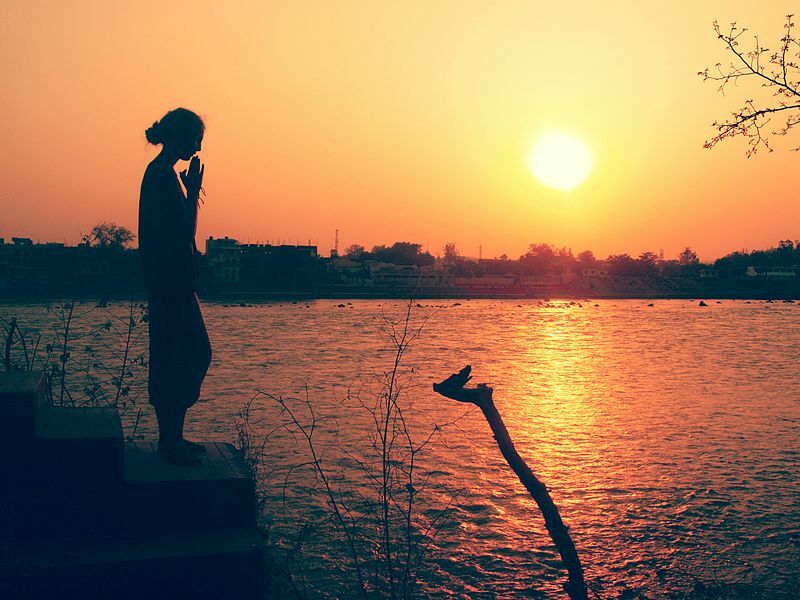 “(1) Puja by a woman at sunset, Rishikesh Haridwar India” by Taz – Flickr: She.. Licensed under CC BY-SA 2.0 via Wikimedia Commons. PIYF has taken a lot of noble steps for mankind which includes Schools for Orphans, Free Yoga Library, Hospital for Poor People, Charity in order to help disables people etc. PIYF offers short term Yoga Vacations in the months of May, June & July. It also offers various courses such as Yoga Teacher Training, Yoga Therapy Training, Yoga Meditation Retreat and a lot more. Anand Prakash Ashram is located in tapovan near Rishikesh. Founded by Yogrishi Vishvketu ji and Chetana Panwar, this ashram offers a wide range of Traditions in Yoga such as Vedic Karma, Kirtan, Meditation, Asana, Pranayama and a lot more. Akhanda Yoga is the most popular Yoga teaching of this Ashram and also the major attraction. Anand Ashram offers 200 hours and 500 hours of Yoga teacher Training as well as some short term training courses. Anand Prakash Ashram is also actively involved with ‘Helping Hands for India’ to provide a living and educate the poor. 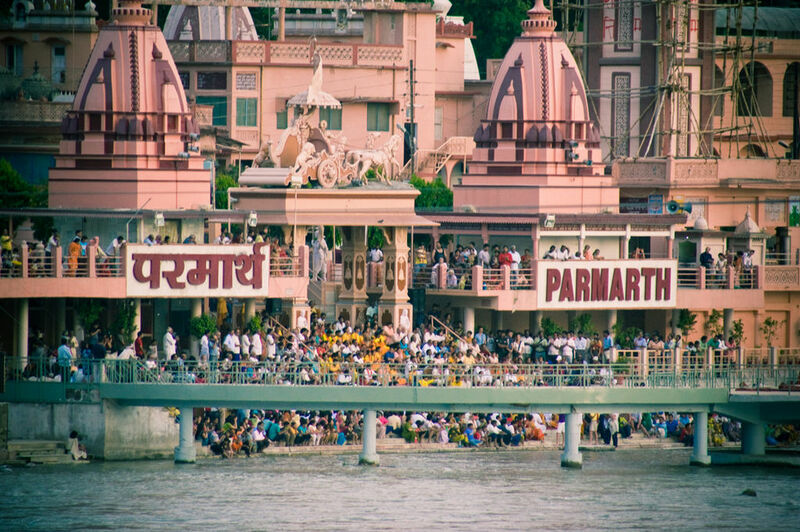 Founded by Pujya Swami Shukdevanandji, Parmarth Niketan is undoubtedly the largest Ashram in Rishikesh. It is located in Swargashram Locality in Rishikesh on the banks of the holy Ganges. Parmarth Niketan has been in existence since the last 70 years being one of the oldest Ashrams in Rishikesh as well. “Evening praying time at Parmarth Niketan ghat, by the Ganges, Rishikesh” by Daniel Echeverri – originally posted to Flickr as Praying time. Licensed under CC BY 2.0 via Wikimedia Commons. Parmarth Niketan has over 1000 well equipped rooms with all modern amenities. It offers a lot for the pilgrims and devotees from all round the world. A lot of Yoga Courses are offered comprising of prayers, pranayama, Surya Namaskaar, Asana, Vedic Chanting, Karma Yoga etc. A whole lot of Yoga Teacher training courses are also available on long term and short term basis. Founded by Swami Vishnudevananda, Sivananda Ashram is named on one of most known Yoga Guru Swami Sivananda. Starting the first Sivananda Ashram in Canada in 1959, Swami Vishnudevananda has opened about 60 Sivananda Ashrams across the World. The locations include South America, North America, Europe, Israel, India & East Asia. Sivananda Centres focuses on spreading Yoga teachings in a unique way inluding Proper Asanas, Breathing, Relaxation, Proper Vegetarian Diet, Lot of Positive thinking and Proper Meditation. Havan and evening aarti are a part of daily routine of Sivananda Ashram. Rishikul Yogshala is a Yoga Alliance accredited school at Narayan Kunj in Rishikesh. 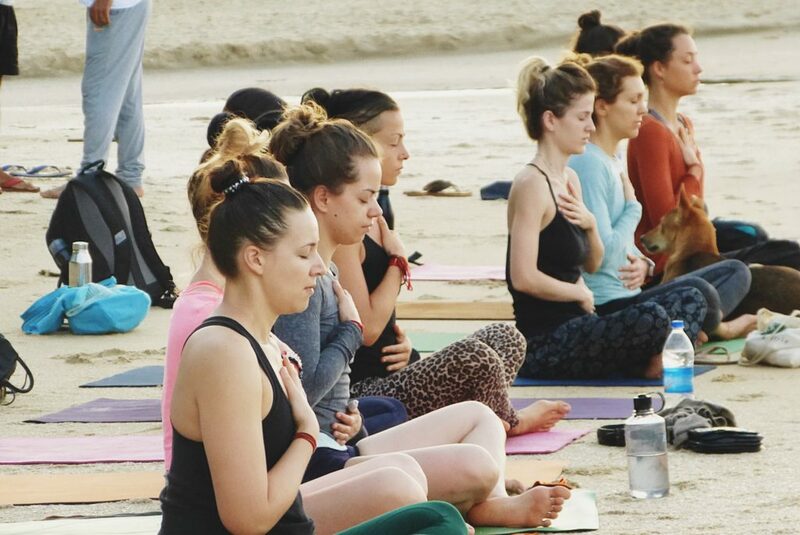 It is one of the renowned yoga schools in Rishikesh that runs under the Rishikul Foundation. Through its certified 200, 300, 500-hour yoga teacher training courses and yoga retreat programs the school has established itself as one of the best in the yoga league. The school’s yoga teacher training program curriculum emphasizes on traditional yoga knowledge and the goodness of Ayurveda for providing holistic wisdom to the yoga lovers and enthusiasts across the globe. The programs are carried out in the watchful guidance of well-regarded figures who continue to inspire the students on the yogic path even after the completion of the course. During the Yoga Alliance approved yoga teacher training course, the students undergo the study of the following subjects: Hatha Yoga, Ashtanga Yoga, Yoga Philosophy, Pranayama, Meditation, Yoga Nidra, Shat-Kriyas, Teaching Methodology, Ayurveda and Practicum along with ashram-like lifestyle and three nutritious meals a day. Effortlessly blending the traditional and modern approach, Rishikul Yogshala provides strenuous support to transform its students into yoga teachers of high stature and human beings with yogic values. It has branches in spiritually heightened destinations as well like Kerala, Nepal, Khajuraho, Dharamsala, Vietnam, Mysore and Thailand. Hope you liked our article about 5 best Ashrams in Rishikesh for Yoga and Meditation. If you want to share your experiences or you have any query, you can leave your comments below. We have two more Additions to the list of top Ashrams in Rishikesh. Located on the banks of river Ganga, Phool Chatti is a 120 year old Ashram in Rishikesh. However, Since 1977 this ashram has been under the prime guidance of Swami Dev Swarup Nanda Ji. The meaning of Phool Chatti is “Land of Flowers”. It is located 5 km up the hill from Rishikesh is a quiet and peaceful location. Phool Chatti offers wide range of yoga learning courses and teacher training courses. These courses may range from a short 1 week course to even a year or two. “6Ashtanga Namaskara” by Joseph RENGER – Own work. Licensed under CC BY-SA 3.0 via Wikimedia Commons. Proper schedule is maintained from morning till the night which everyone has to follow. Meditation, Chanting , Asana, Meditative Walk, Discussion, Pranayama, Temple Prayers, Meditation etc are a part of the daily routine at Phool Chatti. Ekam Yogashala is a popular school in Rishikesh for Yoga Teacher Training. It is a USA certified school which runs under the Akshi Foundation. It provides a comprehensive 200 hour yoga teacher training course that includes different kinds of yoga retreat programs that helps the students to gain complete knowledge of yoga, health and wellness. Each and every session at Ekam Yogashala is taken by the best, highly experienced and learned yoga teachers who helps to show every aspect of yoga knowledge among its students. The curriculum at Ekam Yogashala is designed in such a way that it instills in the students qualities which in turn makes a good yoga teacher and they can carry forward the legacy of the ancestors in their life and as a confident yoga teacher. Students here would be learning various asanas, meditation, pranayama, mantras, mudras, yoga anatomy and as well as the depths of yoga philosophy and history. Hope you liked to know about this new addition as well! 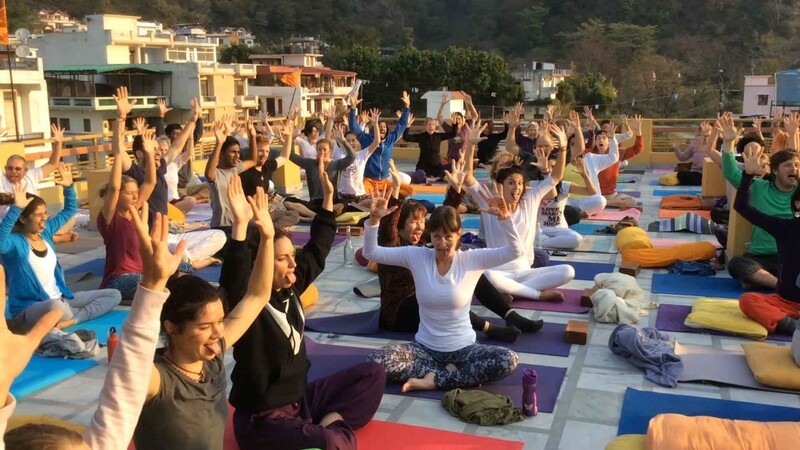 Sattva Yoga Academy is a yoga school in Rishikesh offers 300 hour and 200 hour yoga teachers training course in Rishikesh through its team of master level yoga teachers in line with yoga alliance courses. Very good and informative article you posted about the best places to perform yoga and meditation while in Rishikesh thanks for this posting…Ajna Chakra Yog. Yoga exercises helps in increased our strength, Yoga also helps clear the mind and destress using meditation. The benefits of yoga are numerous. Shiva tattva yoga offers yoga teacher training scholarship for yoga lovers in rishikesh india. I have been to Sivananda and it is a nice place. That said, almost 2 years have passed since you wrote the post and many new yoga training centers have come up since then. Ekattva Yogshala is one such yoga teacher training center. Launched by Manohar ji who has been practicing yoga for over 20 years now, it provides 200-hour yoga teacher training certification from Yoga Alliance to aspiring yoga teachers at very small cost which covers training, stay, and meals. I will be joining the July session to finally pursue the course. Hello. Thanks for sharing the details. You may also add Nirvana YogaSthal to your list. It is one of the most amazing Yoga School in rishikesh which offers all levels of yoga.